(CNSNews.com) -- The total federal debt climbed by $671,455,302,116.72 in fiscal 2017, making 2017 the 60th straight fiscal year in which the federal debt has increased, according to the official numbers published by the U.S. Treasury. 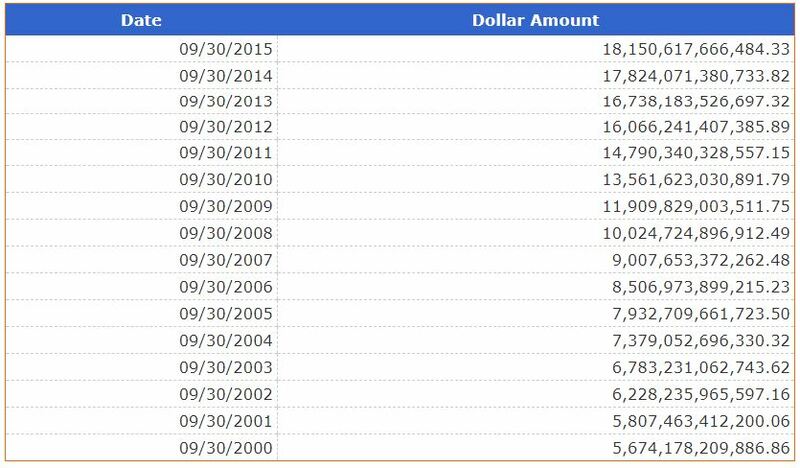 At the end of fiscal 2016, the federal debt stood at $19,573,444,713,936.79. By the end of fiscal 2017 (which closed on Sept. 30), it was $20,244,900,016,053,51. 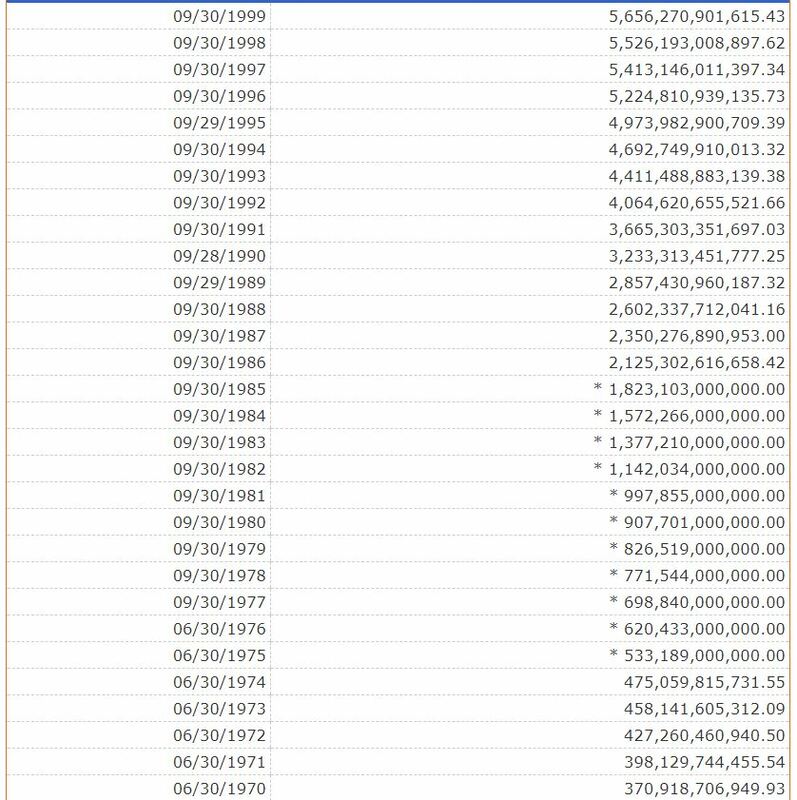 The last fiscal year in which the federal debt declined was fiscal 1957. 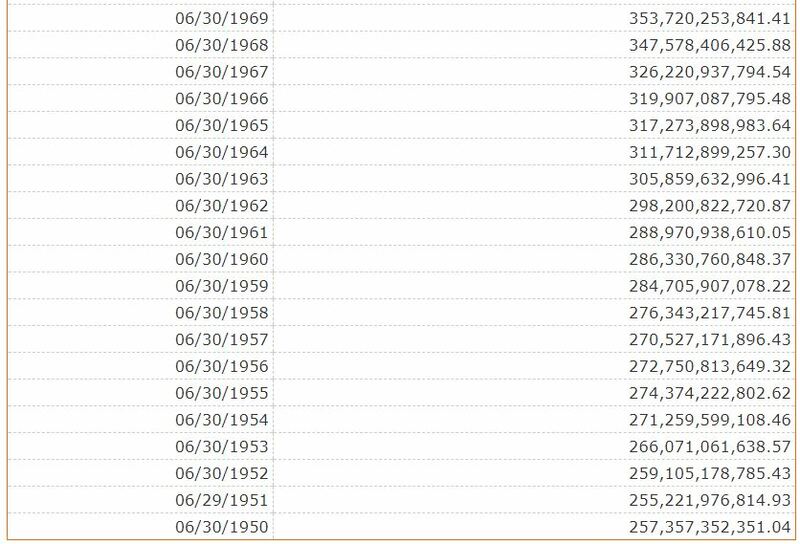 In that year, according to the Treasury, the total federal debt dropped from $272,750,813,649.32 at the close of fiscal 1956 to $270,527,171,896.43 at the close of fiscal 1957. 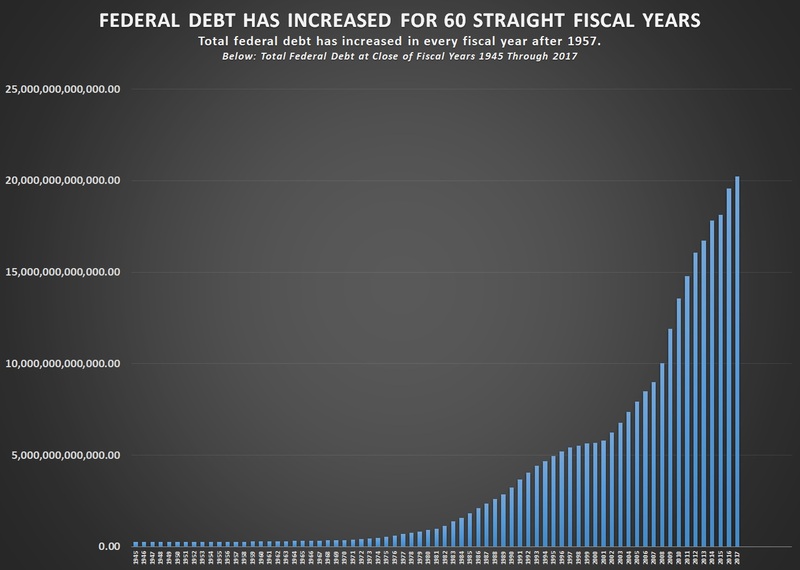 But, in fiscal 1958, the debt climbed to $276,343,217,745.81—and in every fiscal since then, it has finished each fiscal year higher than it started that fiscal year. That means that the last president to govern during a fiscal year when the debt actually declined was Dwight Eisenhower. Since 1977, according to the Treasury, the federal fiscal year has begun on Oct. 1 and ended Sept. 30. Before that—from 1842 to 1977—it began on July 1 and ended on June 30. From 1789 to 1842, it began on Jan. 1 and ended on Dec. 31. In fiscal 2000, the debt came close to holding steady, starting the year at $5,656,270,901,815.43 and ending it at $5,674,178,209,886.86—for an increase of $17,907,308,271.43. The total federal debt of the federal government includes both what the Treasury calls “debt held by the public” and “intragovernmental” debt. Debt held by the public consists of securities issued by the government to entities outside the government, ranging from individual to foreign governments, and includes Treasury bills, notes and bonds. Intragovernmental debt is money the Treasury has borrowed from government trust funds such as the Social Security trust fund and used for current government spending.